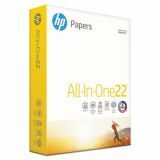 Ideal for double-sided printing, reports, newsletters, color prints and flyers. 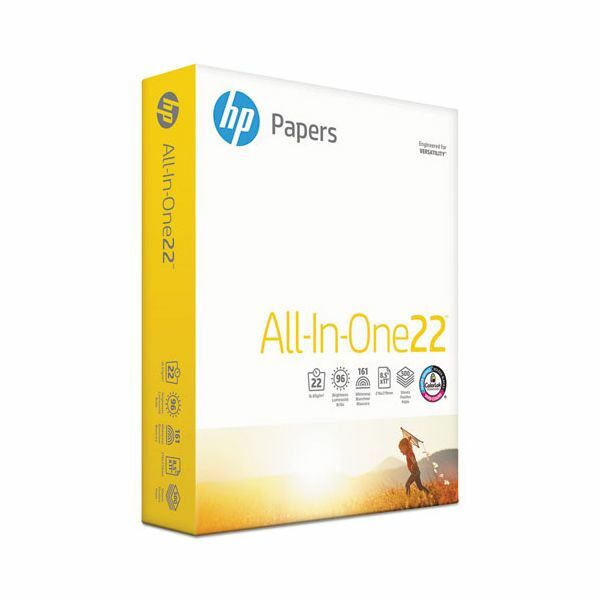 HP All-In-One Printing Paper, 96 Brightness, 22 lb, 8 1/2 x 11, White, 500 Sheets/Ream - All-In-One22™ paper is engineered for versatility, offering quality, variety and versatility to support a wide range of everyday color printing needs. Heavier and thicker, you can print on both sides with minimal show-through. Ideal for reports, correspondence and everyday color documents. Optimized for use in all inkjet and laser printers and copiers. This printer paper is acid-free for added archival quality. This product was made from wood sourced from a certified managed forest.